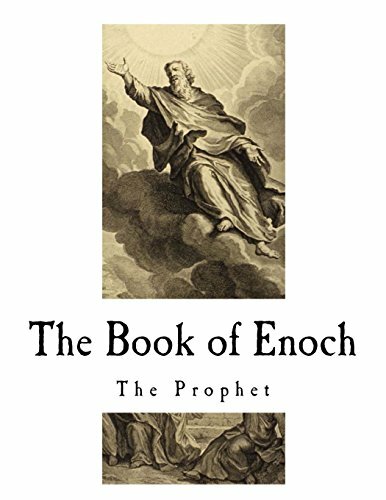 The Book of Enoch: The Prophet by CreateSpace Independent Publishing Platform at Translate This Website. Hurry! Limited time offer. Offer valid only while supplies last. The Book of Enoch: The Prophet. The Book of Enoch is an ancient Jewish religious work, ascribed by tradition to Enoch, the great-grandfather of Noah. The Book of Enoch: The Prophet. The Book of Enoch is an ancient Jewish religious work, ascribed by tradition to Enoch, the great-grandfather of Noah. The older sections (mainly in the Book of the Watchers) of the text are estimated to date from about 300 BC, and the latest part (Book of Parables) probably to the first century BC. Modern research sees in the Epistle of Jude a work of the second century: but as orthodox theologians accept its contents as the inspired utterance of an Apostle, let us diligently search the Hebrew Scriptures for this important forecast of the second Advent of the Messiah. In vain we turn over the pages of the sacred Canon; not even in the Apocrypha can we trace one line from the pen of the marvellous being to whom uninterrupted immortality is assigned by apostolic 1 interpretation of Genesis v. 24. Were the prophecies of Enoch, therefore, accepted as a Divine revelation on that momentous day when Jesus explained the Scriptures, after his resurrection, to Jude and his apostolic brethren; and have we moderns betrayed our trust by excluding an inspired record from the Bible? IN the Authorized Version of the Epistle of Jude, we read the following words:— "Enoch also, the seventh from Adam, prophesied of these, saying, Behold, the Lord cometh with ten thousands, of his saints, to execute judgment upon all, and to convince all that are ungodly among them of all their ungodly deeds which they have ungodly committed, and of all their hard speeches which ungodly sinners have spoken against Him."